When wheelchair maintenance becomes difficult, Sportaid can take some of the hassle away. 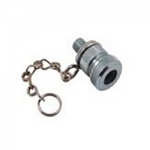 Sportaid offers a complete range of Wheelchair Tire Adapters from leading manufacturers. Choose your tools and accessories with confidence depending on your needs and improve the life of your wheelchair. 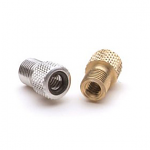 Our high quality selection of wheelchair tire adapters from trusted brands includes the Deluxe Presta Wheelchair Adapter, 90° Presta Adapter, Schrader Valve to Presta Adapter, and Wheelchair Kool Stop Presta Valve Adapter. With our collection of wheelchair accessories, you can trust that you are getting the same standards of quality and performance expected from the original equipment manufacturer. 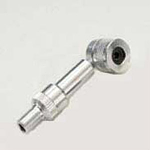 Taking proper care of your wheelchair is simplified by our collection of Wheelchair Tire Adapters. 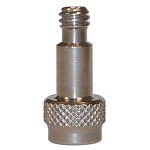 Browse through our unique collection of Wheelchair Tire Adapters below or feel free to call 1-800-743-7203 for help. Select from the top manufacturers and save big with Sportaid.com's everyday low prices. Get Wheelchair Tire Adapters from Sportaid and save up to 25% compared to the competition! After over 25 years in the business helping people find Wheelchair Tire Adapters at the lowest prices, we continue to lead the industry, and we guarantee satisfaction for both first time shoppers and our most loyal returning fans. We carry a large selection of wheelchair cushions, wheelchair parts, and wheelchair accessories. We are capable of beating any competitor's advertised price, just call! Our customer service staff has over 50 years of experience, plus over 90 years of combined wheelchair use experience. We look forward to working with you!